Maybe you want to write or share interesting articles that you think others should read. 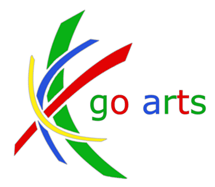 Go arts is an open creative platform for Newcastle artists to add to and expand in new directions. All of the content on go arts is provided by you. Go arts is your chance to take advantage of a captive audience. As artists, you have a good ideas what is interesting to people who are interested in art. What do you think go arts is missing? Think of go arts like an online magazine. Thought of an interesting feature? We can make it happen. Interested in writing? Whether its critical, creative or simply thought provoking, go arts can get it seen. Start up your own blog and get it featured on the home page. Write interesting articles and have your own weekly section. Others might share the same interests as you. Put your ideas forward in the forum.